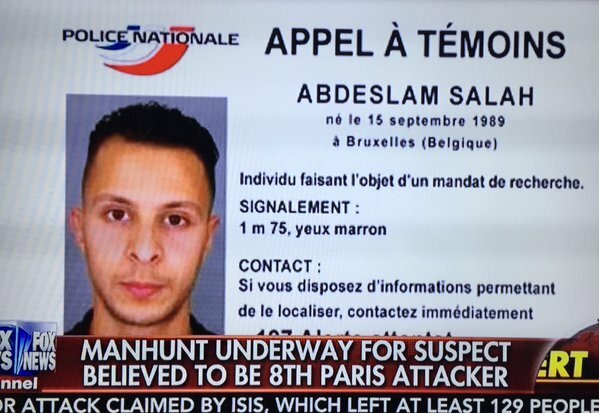 ISIS killer Salah Abdeslam was shot in the leg and captured today in a Brussels apartment. ISIS killer Salah Abdeslam, wanted over the Paris terror attacks, was Skyping friends from his hideout in Brussels after the Paris attacks. He reportedly tried to make it back to Syria and the ISIS caliphate. The killer was transported to a hospital after his capture. A journalist of the Belgian RTBF public television , he was transferred to a hospital. It is not immediately possible to know if another man was arrested or injured, or is currently holed up in a house of Molenbeek, a police source as stated earlier. There were “two wounded” during a police assault against a house, said the mayor of the municipality, Françoise Schepmans. A person would have tried to escape during the assault and would have been shot by the police in the street, in another elected Molenbeek citing witnesses. According to Le Soir , the location of Salah Abdeslam, rue des Quatre-Vents, in the Brussels district where he was born, was the result of evidence gathered Tuesday in the Forest apartment, theater Tuesday’s shootings after a search conducted as part of the Belgian part of the investigation into the attacks in Paris. The street address of the Four Winds was, since, under supervision, according to RTBF. According to Le Soir , it would be an apartment occupied until recently by the mother of a “friend” of Salah Abdeslam. But according to France 2 , the exact address of the safe house would have been known to the police that this morning, after the termination of an individual, whose identity is not known, making possible the beginning of police operations .